RRB Trackman , Gateman , Pointsman Recruitment 2019:- Once Again, the Indian Railway Department Is Going to Get Bumpers Recruitment. This Time, RRB Track Maintainer Grade IV (Trackman), Pointsman, Bride, Posts Recruited. The RRB Level 1 Examination Form for This Recruitment Is Likely to Start in the 12/03/2019. 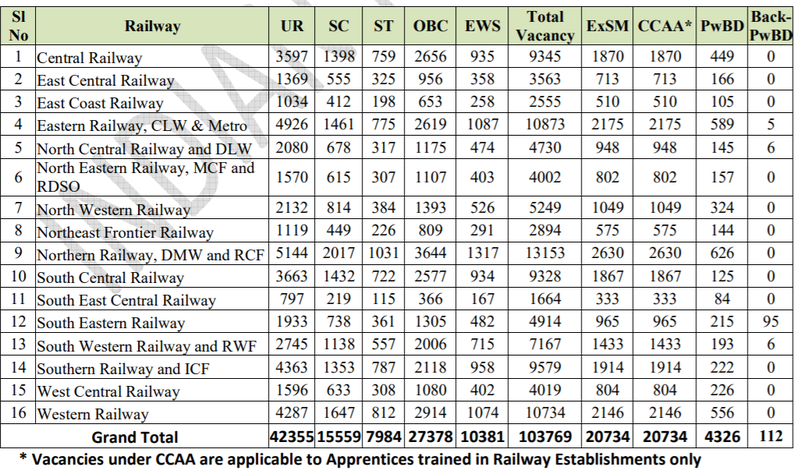 There Is a Very Good Chance for the Students Preparing for the Recruitment of Railway. Under the Railway Track Maintainer Grade IV (Trackman), Gateman, Pointsman, Helper in Various Departments (Electrical, Engineering, Mechanical and S&T Departments), Porter Etc. We Write This Article in the RRB Level 1 Vacancy Details About Recruitment Are Explained in Detail Trackman Online Form Date , RRB Trackman 2019 Exam Date, RRB Trackman Syllabus, What Selection Process Will Be for Stenographer Recruitment Etc Information Given Below. 2.) Educational Qualification:- Candidates Having 10th/12th/ITI/Diploma in Relevant Post Will Be Eligible for This Recruitment.